When Wade Wilson (Ryan Reynolds) first hit cinemas in the quite awful X-Men Origins: Wolverine, it seemed like the merc with the mouth's fate was sealed. But the surprise hit that was 2016's R-rated Deadpool helped to shake up the superhero genre and showed that the bubblegum pop of other Marvel films and the dark tone of DC projects need not be the only two ways that these types of movies need to be made. It also means that the bar has been set quite high for Deadpool 2, with the studio (20th Century Fox) sitting up and taking notice. Consequently this sequel would feature a bit more studio interference, and likely the usual telltale signs of trying to set up a 10 to 12 year-long franchise. It's something that Deadpool's character is innately aware of, and one he addresses to the audience a couple of times during the film. As such, we sat watching this film hoping to see whether or not Deadpool 2 could survive the influence of a major studio and stick to the fourth-wall breaking, insane stunts and ultraviolence that the first film executed so well. For the most part it remains unscathed. Yes, it's clear that Fox are trying to create the platform for several more Deadpool movies, with the introduction of characters like Cable (Josh Brolin, Oldboy) and Domino (Zazie Beetz, Atlanta), but this is always countered by the self-awareness of Deadpool himself. He pokes fun at the tropes one finds in superhero flicks, and even points to specific franchises like Batman v Superman or The Avengers. Much like the first film, Deadpool 2 does not describe itself as a superhero flick. The first film was framed as a love story, and this time around its central theme is family. 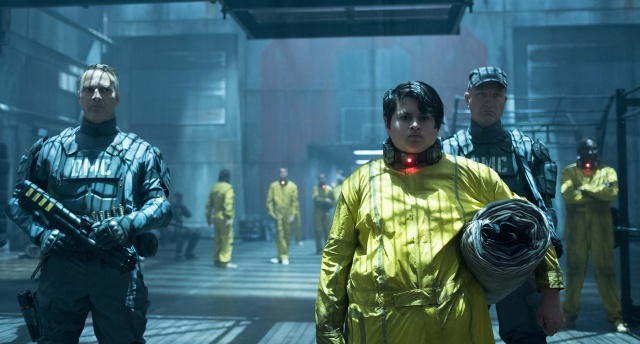 Joining the Wilson fold is Fire Fist (Julian Dennison, Hunt for the Wilderpeople), who turns out to be quite the scene stealer, and in a similar self-aware fashion says that he can never be a superhero as he doesn't fit the cookie cutter mould for one. 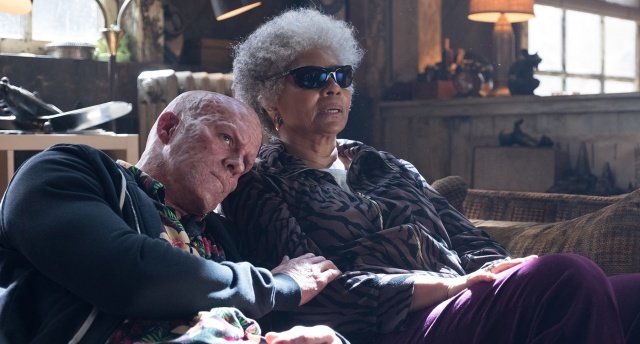 Making conscious efforts to avoid the pitfalls of superhero flicks, Deadpool 2 also tries to ensure the the dialogue is as razor sharp as it was in the first film. Ryan Reynolds is as nimble at wordplay as ever, and proves once again that he's the sole actor capable of playing the merc with the mouth. 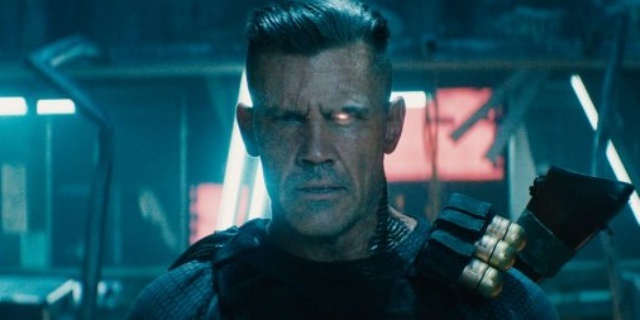 The banter between him and the likes of Weasel (T.J Miller, Silicon Valley), Negasonic Teenage Warhead (Brianna Hildebrand) and Domino is superb, and shows that Reynolds is not the only one with witty repartee or pop culture laiden quips. There are also a few hilarious scenes, some of which serve as callbacks to the first film. Wilson loses another significant appendage during a fight for example, and the slow wait for it to regrow is used to great comic effect. Another surprising element to this film was the soundtrack, which doesn't simply enlist trendy tracks like Run The Jewels' Legend Has It, but also a few interesting choices like Tomorrow from Annie. One of the best songs has to be Ashes by Celine Dion, which scores the mock opening credit sequence similar to the Bond films. Whether it earns an Oscar nom remains to be seen. There is also a running gag in the film about dubstep, and whether it should be viewed as a proper musical artform, with Skrillex's Bangarang following shortly thereafter. Unfortunately we don't get to hear LL Cool J's Mama Said Knock You Out, which was used for Deadpool 2's trailers, or DMX's X Gonna Give It To Ya. Nevertheless the soundtrack for this film is obscure and song choices are ones we'd never make, but in a very Deadpool-y kind of way, fit perfectly. Deadpool 2 has a lot to live up to, and for the most part it manages to do so. Yes, thanks to more influence from the studio, there is a larger scale and more characters added to the mix, but sticking to its roots, this sequel manages to tap into what made the first so great. It has plenty of fourth wall breaks, is as violent and bloody as the original and features a protagonist that's lost none of his edge. That said, the underdog nature of the first Deadpool has been lost somewhat for the sequel, but is still a good R-rated time at the movies.